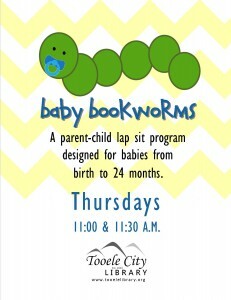 Designed for babies from birth to 24 months. This program is repeated 2 times and begins when full or at 11:00 and 11:30. 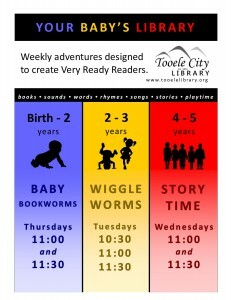 Children 2 and older can enjoy programs for their age groups - Wiggle Worms and Story Time. Look for these in our calendar!